One word for this prod­uct called Citra Clean that I had the plea­sure of review­ing — AMAZING!!!!!!!!!! As I stum­bled across this web­site on the inter­net, I knew that I had to con­tact the own­ers imme­di­ately to see if they would like to par­tic­i­pate in a review and give­away, as to which they imme­di­ately said yes, and I was ECSTATIC!! I love clean­ing my home, and love to make sure that every­thing is squeaky-clean, as my hus­band is pretty much the same as I. He does all of the out­side work, while I take care of the inside. We do not live in a small home either, with 3 floors some­times it gets frus­trat­ing to say the least to keep it all up. But I do the best I can. I love degreasers that work great as well, and I had just the most excel­lent chance to try this prod­uct out!! My sce­nario. Yes­ter­day hubby called from work stat­ing that he wanted fish ‘n’ chips for din­ner. I cooked the fish in the oven, and heated up my deep fryer wait­ing for the right time to throw the fries in. This deep­fryer is going back to Wal­mart because it was only pur­chased over a month ago, and hot oil began to leak out of the bot­tom of it as soon as I low­ered the fry bas­ket!! ARGH WHAT A MESS!!!!! 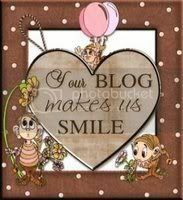 Hubby had just got home from work thank­fully and rushed to my res­cue as the hot oil ran across my won­der­ful coun­ter­top and down the sides of my cup­boards onto the floor! I was not impressed AT ALL! The deep­fryer went out onto the deck, and I had to wait for the hot oil to cool even before I could start clean­ing it up! I threw mounds of paper towel every­where I could see oil to try and sop it up in the mean­time, and we did not end up hav­ing fries because after that mess, food was the fur­thest thing from our minds!! Later last evening I did what I could with other prod­ucts avail­able, but noth­ing seemed to take away the ‘stick­i­ness’ on the floor, nor the film of oil that laid on the counter and down the cup­board doors. Until Citra Clean came to the rescue!!!!! I diluted it with water as per the instruc­tions, and used a soft cloth. Wow! AMAZING!! I am totally SOLD on Citra Clean now! What a God-send!! “One clean­ing prod­uct — CITRA CLEAN — can replace all the expen­sive and toxic haz­ardous chem­i­cals around the home or busi­ness … and at a frac­tion of the cost! Just by adding water to CITRA CLEAN — a con­cen­trate made from nat­ural cit­rus oils — you can custom-blend your own clean­ing prod­ucts. Put CITRA CLEAN to the test. You will be amazed at how this “envi­ron­ment and peo­ple friendly” clean­ing prod­uct matches or out­per­forms most prod­ucts avail­able today! Instead of using a dif­fer­ent prod­uct for every need, Citra Clean has the abil­ity to tackle every­thing from light uses at home to heavy indus­trial applications. CITRA CLEAN con­tains no bleach­ing agents, acids or petroleum-based sol­vents. It works on a d-limonene based lift­ing agent, which gets into the pores of a mate­r­ial to lift and remove any­thing which is not per­ma­nently bonded. If your stain con­tains per­ma­nent dyes such as: hair dye, orange pop, grape juice, Kool-Aid or per­ma­nent marker, then CITRA CLEAN may not remove them. In some cases, sev­eral appli­ca­tions of a 10:1 dilu­tion, plus elbow grease will break down and remove these types of stains. Our unique for­mula makes CITRA CLEAN one of the safest prod­ucts you will ever use. CITRA CLEAN is non-corrosive and nonflammable. Most homes and busi­nesses have dozens of expen­sive and dan­ger­ous prod­ucts. As you use them up, refill them with CITRA CLEAN and start sav­ing money! A 20:1 dilu­tion will do for most gen­eral clean­ing appli­ca­tion. For tougher jobs use a 10:1 dilu­tion and give it more sit­ting time before wip­ing. Hold the mouse over a par­tic­u­lar use and help­ful tips to get those tough-to-remove stains out will be displayed. What an EXCELLENT all-purpose cleaner with a very light scent. This hon­estly works on every­thing, and I am overly impressed with this out­stand­ing product!! 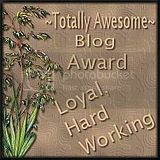 Read some amaz­ing tes­ti­mo­ni­als here from other’s who have used it as well! I was sent 2 gal­lons of this fab­u­lous Citra Clean, one for myself, and another to give away to one lucky Cool­Canucks Reader — com­pli­ments of the great gen­er­ous folks over at Citra Clean!! If you don’t enter this one, you have got to be com­pletely NUTS! This prod­uct is GREAT!! 1)Head on over to Citra Clean and tell me why you would love to have this Fan­tas­tic Gal­lon of Citra Clean! Pur­chase any­thing from Citra Clean for the dura­tion of the give­away and get 10 extra entries!! Just tell me what it was in a comment! 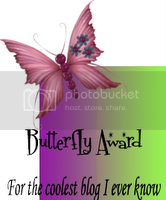 A HUGE Thank you to Citra Clean for host­ing this great Giveaway!! I’m not a fan of win­ter at all. Win­ter brings cold weather, snow, dry skin, and chapped lips to name a few dread­ful things. When I was younger, it did not bother me — but now as a grown-up, I detest all that win­ter brings for the most part. Hubby is a HUGE out­doors­man, and tries to make me do all of the things he enjoys doing out­side such as snow­shoe­ing, ski­doo­ing, etc. I do love fish­ing though, and he enjoys it just as much in the win­ter as he does in the sum­mer months and drags me along with him. As I men­tioned, chapped lips hurt and are such a both­er­some incon­ve­nience! I am for­ever dig­ging and rout­ing through my purse and pock­ets look­ing for my chap­stick, but a lot of times am stuck out on the ice out of luck — either for­get­ting it at home or los­ing the darn stuff dur­ing our ski­doo ride in! That is until I came across the new Lip pods where this will no longer be a prob­lem for me thankfully!! Lip pods are such an excel­lent and unique inven­tion for peo­ple like us! 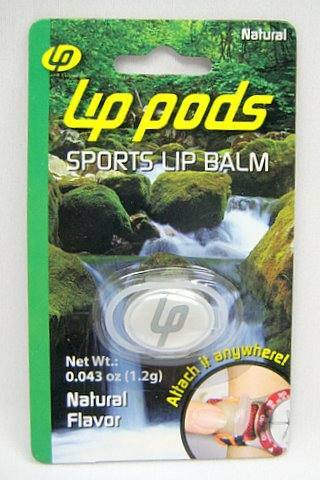 This Sports Lip Balm attaches to your watch or any­thing else you like, so you don’t lose it! Work­ing closely with the orig­i­nal inven­tor Erik Nord­skog, Promo Lip Balm has branded the orig­i­nal Zebug for the retail mar­ket, under the brand name Lip Pods. From con­cept to design, Erik’s idea of “wear­ing” Lip Balm has already taken Europe by storm. It’s now avail­able in North America! Lip pods are lip balms con­tained within a unique and handy Lip Pod with a hinged lid. Attaches to your watch, sun­glasses, belt, bike, back-pack or any other item you choose with an expand­able O-ring. I was sent four of these won­der­ful Lip pods to review, and in four delight­ful flavours! I am now defi­nately sold on this prod­uct, IT IS THAT great! Although they all taste great on your lips, the Wild Berry flavour was my favorite! They also come in Vanilla, Coolmint, and Natural. 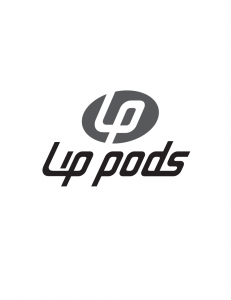 The kind and gen­er­ous folks over at Lip pods wants to give one lucky Cool­Canucks reader the oppor­tu­nity to win four Lip pods of their own as well! Sweet prize, you will love all 4 of these awe­some flavors!! 1)Head on over to Lip pods and tell me why you would love to have these! Pur­chase any­thing from Lip pods for the dura­tion of the give­away and get 10 extra entries!! Just tell me what it was in a comment! 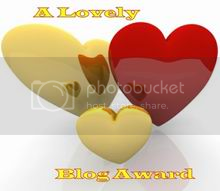 A HUGE Thank you to Lip pods for host­ing this great Giveaway!! Visit us in-store and take advan­tage of our Box­ing Day Savings! Fash­ion, Footwear, Elec­tron­ics and Gift Baskets! The Box­ing Day Blowout Event ends soon. 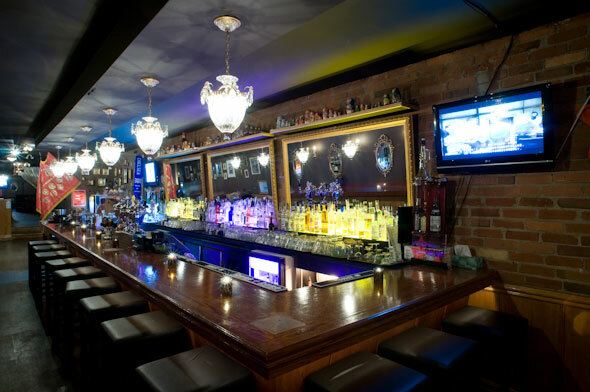 Make your way into The Bar­gain! Shop today. Click here for fur­ther details on these hot deals! Pur­chase any DVD or Blu-ray at the Cine­plex Store at cineplex.com and earn TRIPLE SCENE POINTS† until Decem­ber 31, 2009. Select from over 25,000 titles start­ing at only $5.00, includ­ing great movies! Ring in the New Year with great sav­ings and TRIPLE SCENE POINTS at the Cine­plex Store. Click here to Save up to 50% off of selected dia­mond, gem­stone and gold jew­ellery dur­ing Charm Dia­mond Cen­tres’ BIG SALE!! Canadian Deals ~ Penningtons Canada ~ Save 30% to an extra 50% off Boxing Week! Click here to start shop­ping now and save 30% to an extra 50% off at Penningtons/MXM/ADDITION ELLE Canada dur­ing their won­der­ful box­ing day sale that is on now! Enter here daily for your chance to win a Lap­top Mini Dell Insp­iron 9 XP‏ from wannawin.ca! Con­test ends on Jan­u­ary 22cnd, 2010 — Best of luck to all of my CoolCanucks! Canadian Contest ~ Canadian Tire ~ Win 1 of 5 Canadian Tire Gift Cards! Over $7,000 in prizes to be won! It’s your chance to tell us what you really think. Share your thoughts on the gifts you received this year – the bad, the good and the perfect. Whether it’s a bike or a drill, we want to know about it. Tell us what gifts you loved and about the ones that might you might con­sider regift­ing. Why did you love it? How did it dis­ap­point? By review­ing your gifts, you’ll be help­ing other cus­tomers when they shop for them­selves or for some­one else. Two:You’ll also have a chance to win a $50 Gift Card awarded daily through­out the contest. To par­tic­i­pate, go Here and sign up as a My Cana­dian Tire mem­ber. Then rate and review any prod­uct you received and you’ll be auto­mat­i­cally entered in the Great Gift or Regift Con­test for a chance to WIN a $1,000 Cana­dian Tire Gift Card. Each prod­uct review should include insight­ful feed­back about the pros and cons of the prod­uct. Cus­tomers will get 1 bal­lot in the con­test for each prod­uct they review. Max­i­mum of 100 bal­lots per email cus­tomer. One win­ner per email address. Con­test ends Jan­u­ary 28th, 2010. Good luck!! HOT Deals!! Threadless Tees has all Tshirts for only $10!! This is the time to stock up on next years Christ­mas Gifts at Thread­less Tees, as ALL tees are just $10 until Jan­u­ary 4th, 2010!! Hot deals on these tees — grab em now by click­ing here!! Click here to grab your free print­able coupon that get’s you a Free Appe­tizer from Bal­dini Restau­rant in the GTA! One appe­tizer per cou­ple, and this is valid until Dec. 31st.